“It is the first discovery to be announced in 2018,” said Minister of Antiquities Khaled El-Enany at a press conference held at the step of Hetpet’s tomb in Giza's western cemetery. El-Enany explained that blocks of the tomb were unearthed in 1909 by a British explorer who sent them to Berlin and Frankfurt. “The tomb has never been uncovered until October 2017 when the Egyptian mission started excavation in the Giza western cemetery,” El-Enany said. The minister explained that the cemetery was previously excavated by several archaeological missions since 1843, and the most distinguished and important ones were made by renowned Egyptologist and former antiquities minister Zahi Hawass. The newly discovered tomb belongs to a lady named Hetpet, a top official in the royal palace during the end of the 5th Dynasty. 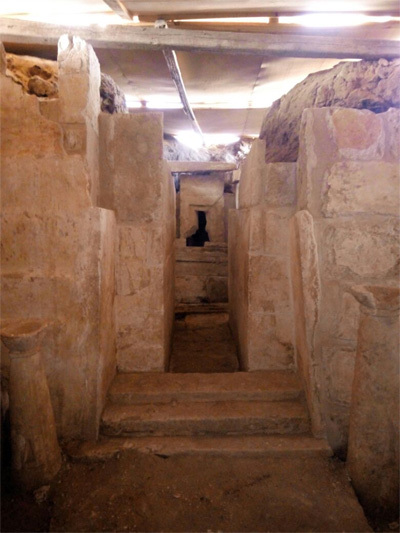 Mostafa Waziri, secretary general of the Supreme Council of Antiquities and the head of the mission, told Ahram Online that the tomb has the architectural style and decorative elements of the 5th Dynasty, with an entrance leading to an “L” shape shrine with a purification basin. On its western rear end there is a rectangular arcade lined with incense and offering holders. There is also a naos with a yet missing statue of the tomb’s owner. 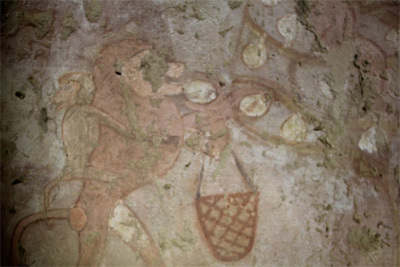 The tomb has very distinguished wall paintings in a very good state of conservation depicting “Hetpet” standing in different hunting and fishing scenes or sitting before a large offering table receiving offerings from her children. “Scenes of reaping fruits, melting metals and the fabrication of leather and papyri boats as well as musical and dancing performances are also shown on walls,” Waziri said. He added that among the most distinguished paintings in the tomb are those depicting two monkeys in different positions. Monkeys were domestic animals at the time. The first scene shows a monkey reaping fruits while the second displays a monkey dancing in front of an orchestra. 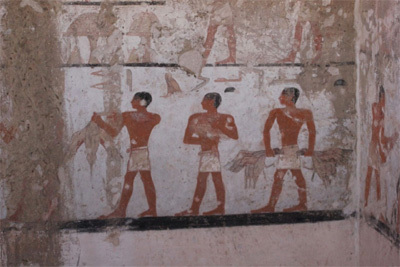 Similar scenes are found in other tombs. 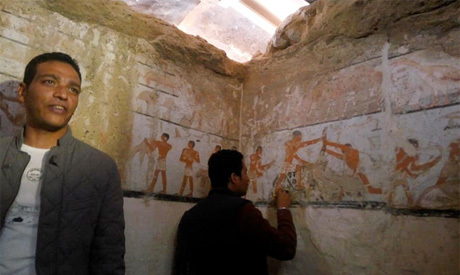 The first one is painted on the wall of a 12th Dynasty tomb of Khnoum Hetep II in Beni Hassan in Minya governorate; the second is found in the Old Kingdom tomb of Ka-Iber in Saqqara, though it displays a dancing monkey in front of a guitarist not an orchestra.